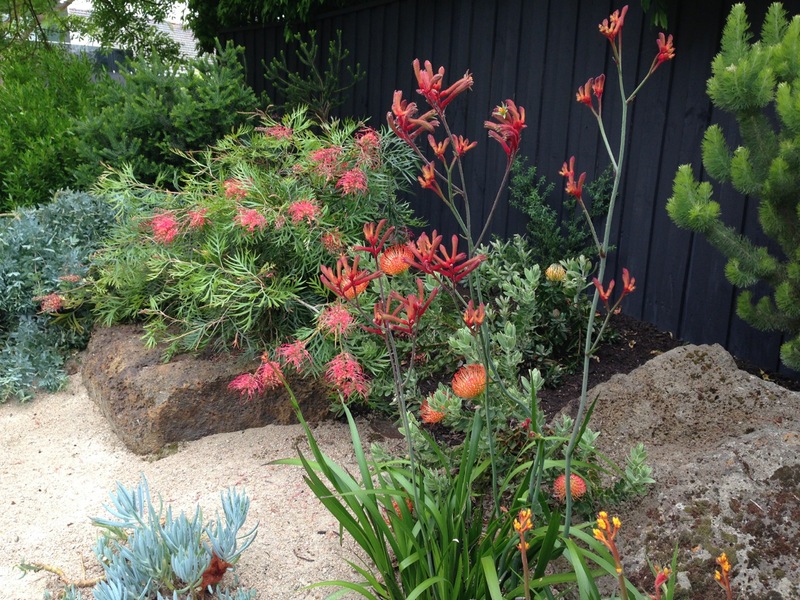 The best garden designer in Australia? 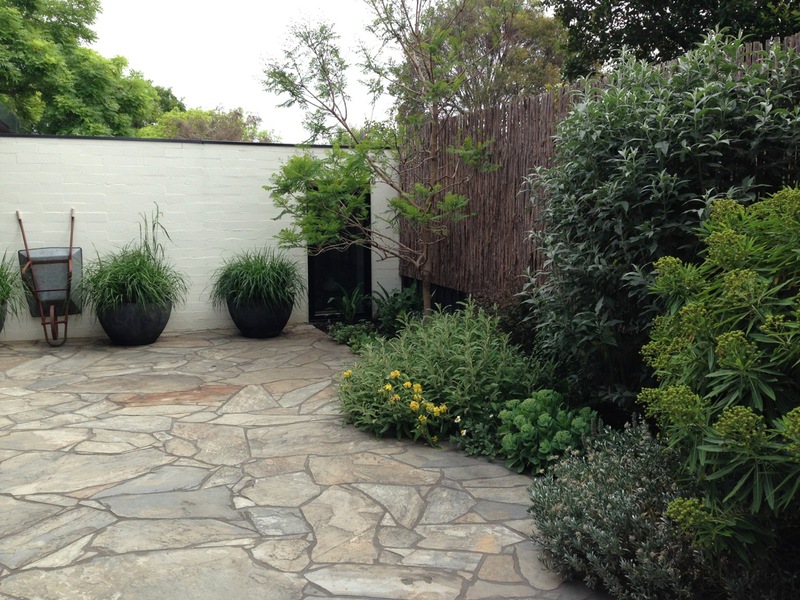 When I arrived at Cameron Paterson’s Toorak garden I was expecting to see something that was nice enough. I had seen a few pleasant pictures online, but you know, they don’t always accurately reflect reality. One step behind the front fence and my husband and I were quite literally stopped in our tracks. This garden was breathtaking. Now, Paul and I don’t always see eye to eye on gardens. I have never been able to get quite as excited about fuchsias as he is and he has always struggled to come to terms with my soft edges spilling over the lawn. Paul loves his lawns and his bright colours, neither of which this property had. It seems this garden would transfix anyone. Later the same day we went to visit Cameron’s garden in Balwyn, an equally wonderful, if very different, place. He also showed us before and after photos of a country property he had developed. And having seen the three gardens, it dawned on me what it was that made Cameron’s designs so very special. They all had that elusive, intangible but very real when you feel it, ‘sense of place’. The Toorak house was modern Australian. Very much so. 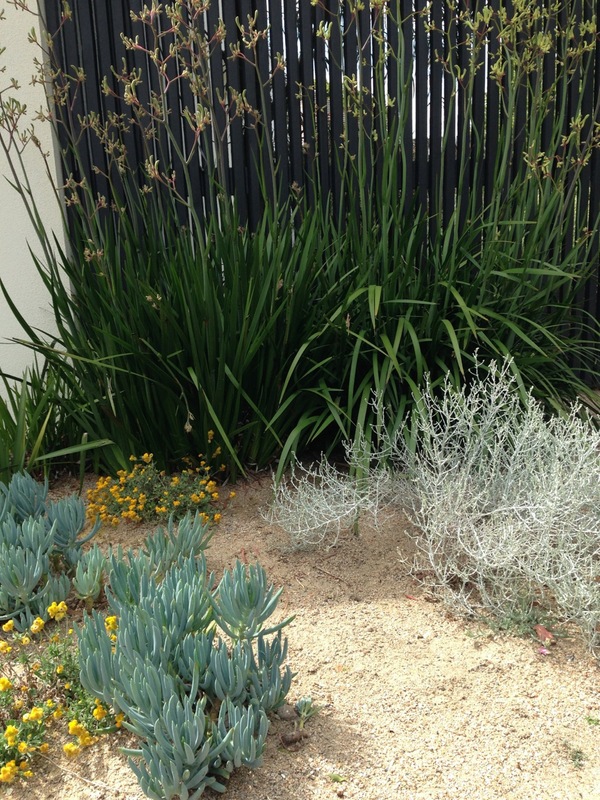 And what it needed was a modern Australian garden. Cameron’s ability to see a patch of dirt and envisage the perfect solution is, I think, better than any other designer I have ever come across. 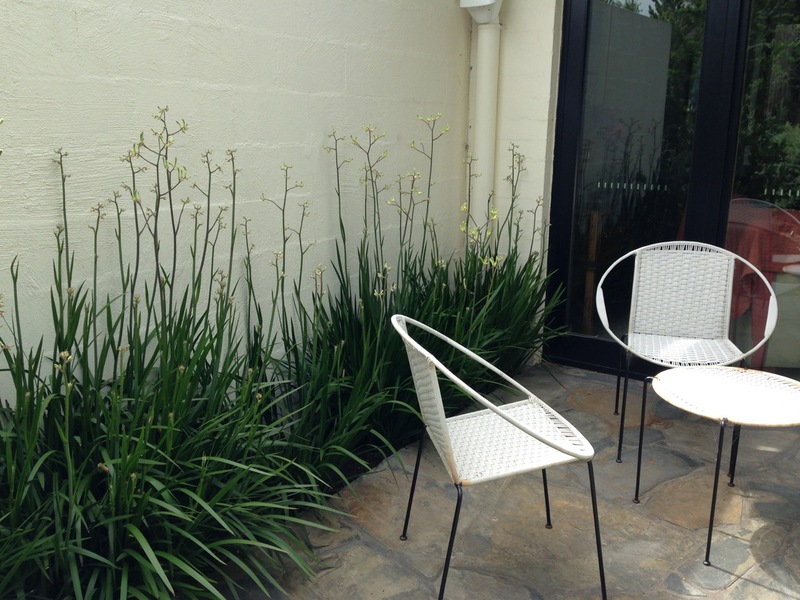 He isn’t wedded to a particular style, or to particular plants, he just has a vision of what will sit perfectly and seeks out the materials and plants to fit. Annoyingly, he was also the most humble, modest, friendly person you could ever meet. And I so wanted to find a flaw in him! Interestingly, the front courtyard was, I would say, less than 20% natives. And yet I had it firmly labelled in my head, a native garden. And so I have made a big decision. Unless a garden is 100% natives, I am now going to refer to them as ‘Australian’ gardens, rather than ‘native’ gardens. And with that, I feel a very bright light bulb has come on. You see the thing I love about the old ‘native’ gardens is their sense of place. They just look so right in this country. But actually what I am saying is that they look ‘Australian’. It doesn’t really matter where the plants comes from, just as most ‘English’ garden plants come from anywhere but England. It is the feel of the garden that counts. Cameron captures that ‘feel’ of Australia with immense skill. 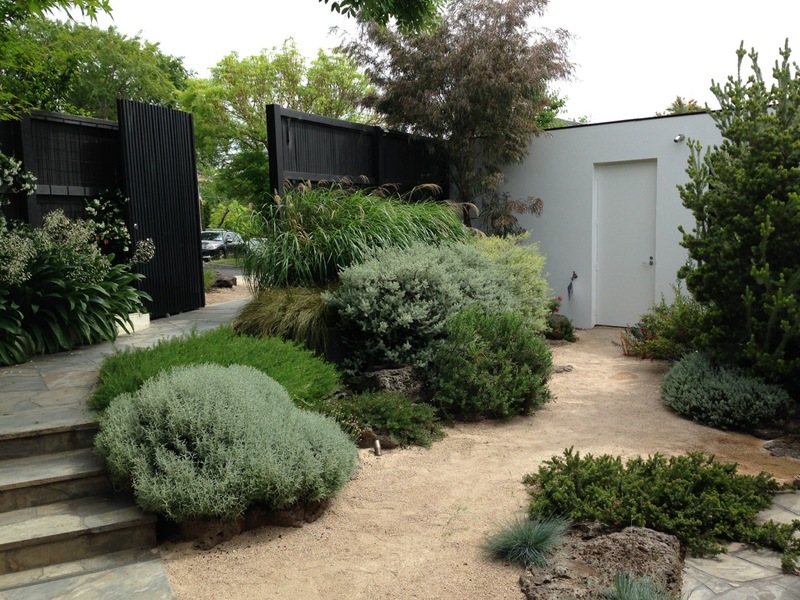 But in mixing his natives and exotics, he also creates a lush, tidy garden, suitable for the smallest courtyard, where a native bush garden would traditionally be quite out of place. 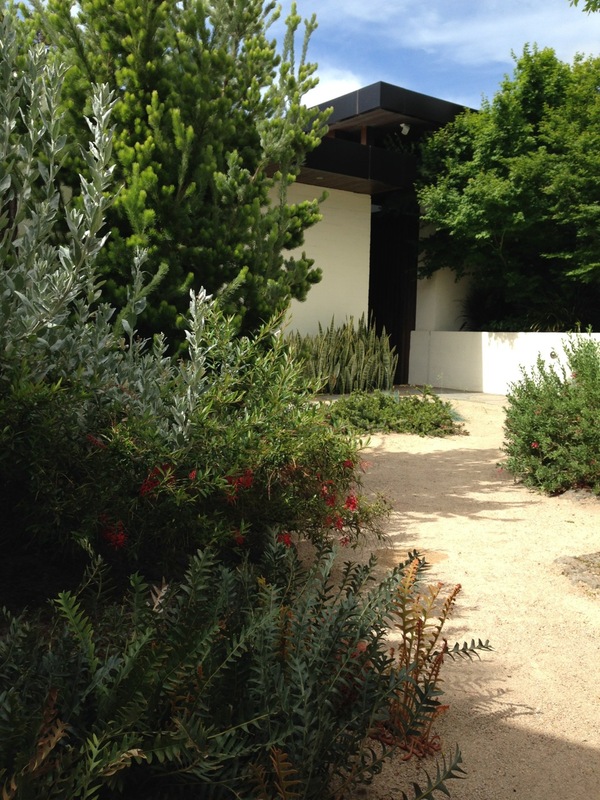 His use of grey foliage helps conjure the Australia bush, softened and contrasted by bright and deep greens. He also uses flower colour with great skill, adding just the right level of highlights but never letting one plant dominate. His use of yellow in the rear courtyard is striking, but subtle at the same time. 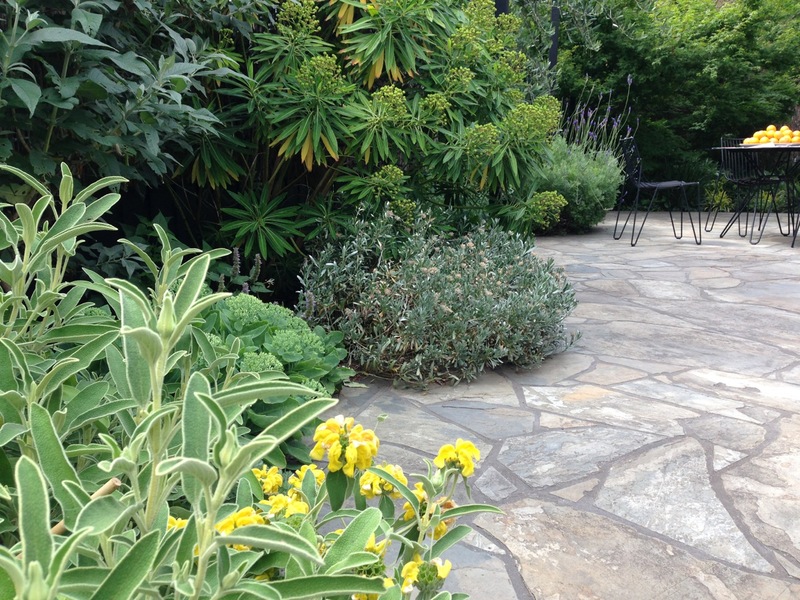 And in the shadier side garden, he isn’t afraid to put rich, exotic greens throughout. 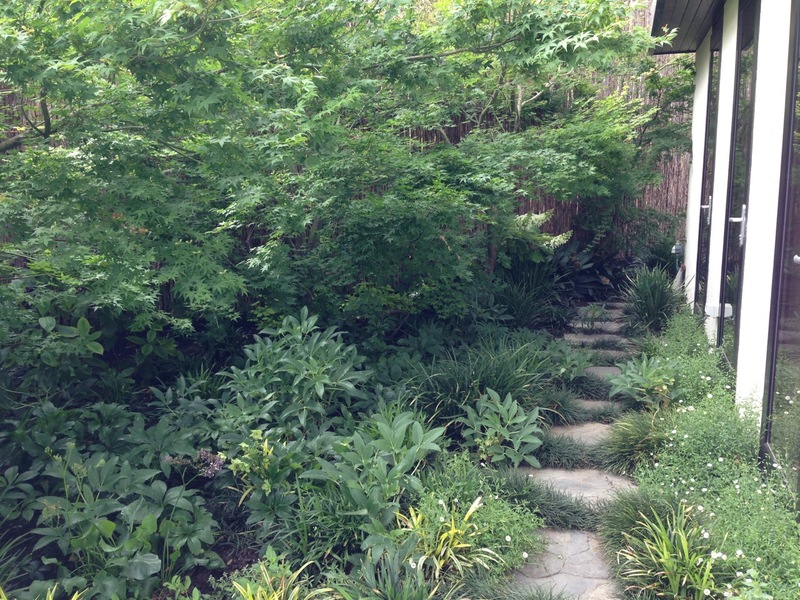 A woodland garden, it has its own little sense of place, blending perfectly well with the other areas. He has enough of the lush green throughout the property, so all the little pockets tie together beautifully. 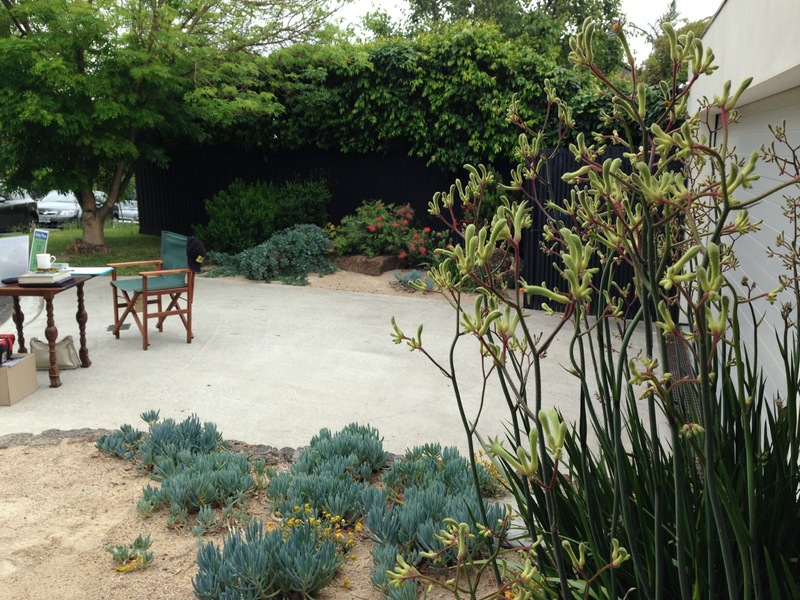 Creating gardens with a strong sense of place is something that very few designers ever conquer. Cameron is one very, very talented man. 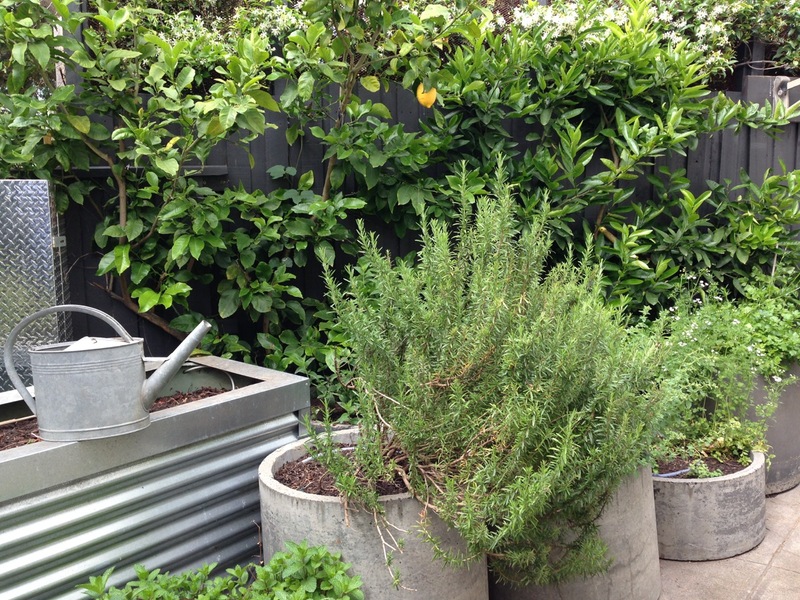 Even the fruit, vegetable and herb garden is fresh, attractive and modern at this garden. When Cameron came across a disused concrete pipe in the garden, too heavy to remove, he simply chopped it into lengths to create these beautiful planters. Inspirational. Just read this, Janna. 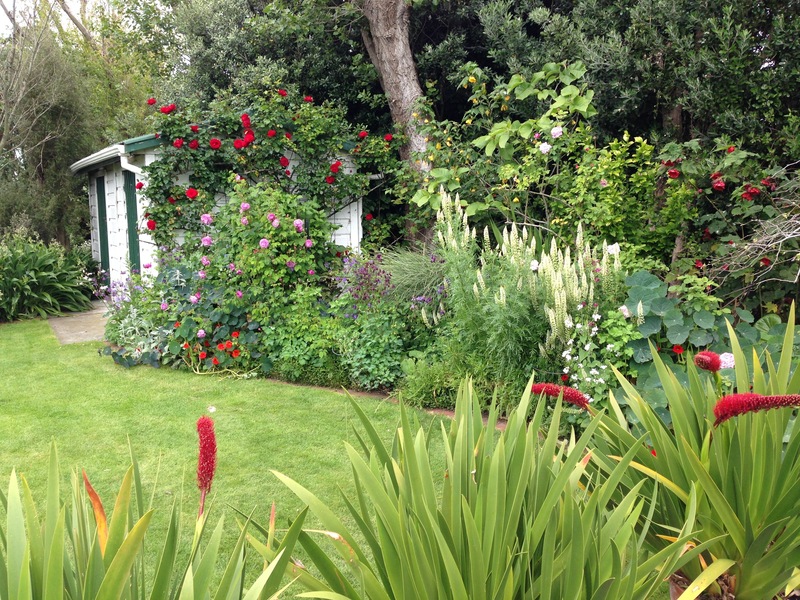 Great garden (and lovely photos). He is blending plenty of things here and hitting all sorts of marks – stylish, welcoming, functional, not looking too overdone. 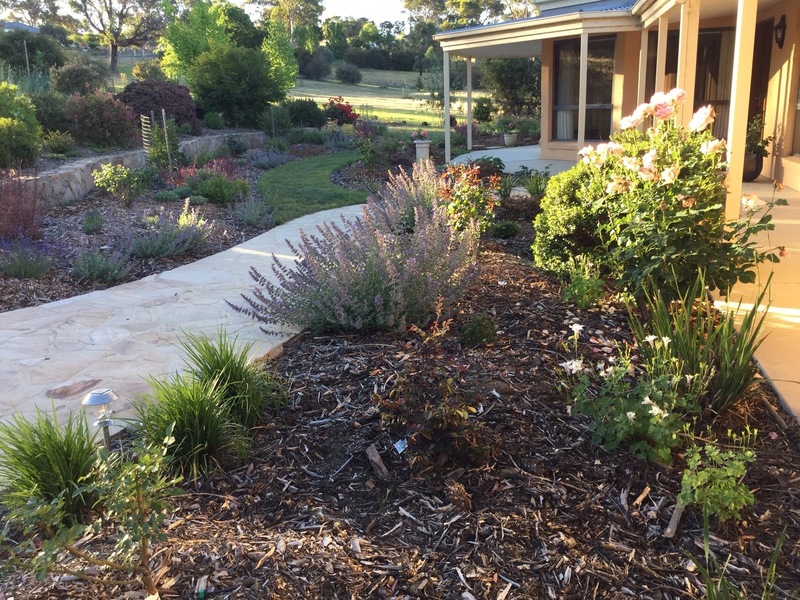 I really like your thoughts about using ‘Australian’ to define gardens like this. 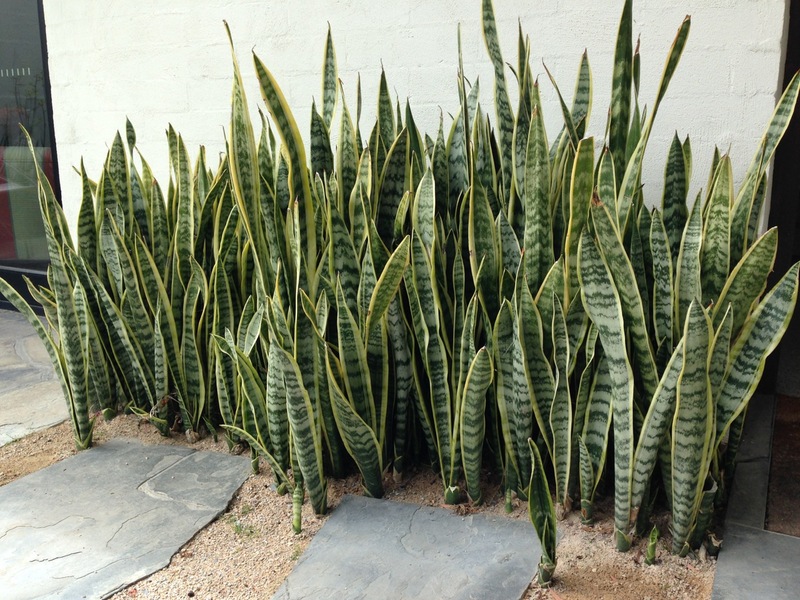 Not entirely sold on those Sanseverias though…..
You don’t like the sansevierias? Interesting. I thought they did work within the whole context. Photo 6 above probably shows them blending into the garden better than the close up of them. I agree they can sometimes look a bit harsh and out of place though. I am fascinated by the variety of ways people view gardens – it really makes me think! Thanks for your comments. I have just come across your blog and feel compelled to endorse your great impressions of this garden – and it is great to see some more pictures of it! Of the 20 or so city gardens we visited at Garden Designfest ‘way back’ in 2014, this one was the standout for me. 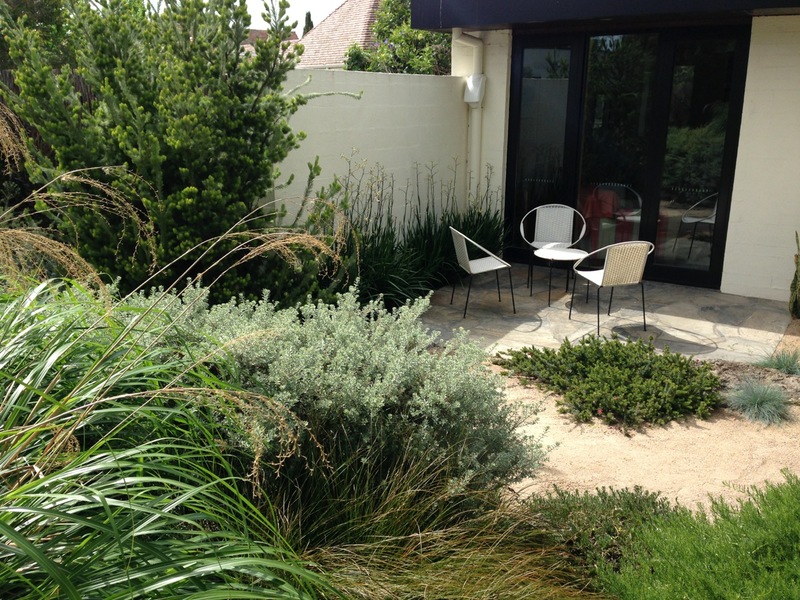 A great combination of open and intimate spaces and a refreshingly different plant palette. Big congrats to Cameron Paterson and his team! Thanks so much for your comment, Jack. It’s always nice to hear that someone else concurs with your thoughts. The garden was certainly a stand out for me. I’ve just had a look at your website and I love your designs, too. If any of yours are ever open I’d love to visit one or two when I’m next in Perth. We have very good friends on Salvado Road, which can’t be too far from you at all! Thank you Janna! The selection of pics on the website are all private clients in Perth, so none are open as such, though one of the ones featured is our garden. Ironically, you are living in a part of the world that is very close to my heart and one that I know very well. I grew up in Kensington and still return every May/June to visit my mother and son and go to the Chelsea Flower Show. Let me know when you’re next heading out Perth way as it would be great to catch up for a coffee if you have time. How funny that you grew up in Kensington! It’s actually all new to me; I grew up in the Buckinghamshire countryside. Will definitely let you know when I’m next coming to Perth; that coffee sounds great.